Many cities and counties in Colorado have opened some or all of their roads/streets to off-highway vehicles (OHVs). 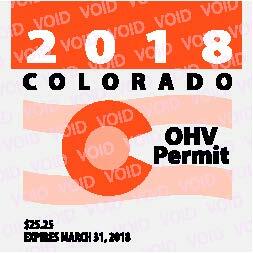 Colorado State Law allows for the operation of OHVs with a valid Colorado OHV registration/permit, by operators 10 years and older (under direct supervision of a licensed driver) or by operators 16 years and older. Rules regulating the use of OHVs on local public roadways may be more restrictive than these state laws and often vary from one city or county to the next. Requirements regarding age of operation, driver’s license, insurance, vehicle size/types, required equipment and other rules can change as you travel across boundaries between different jurisdictions. Local governments designate OHV routes with signs and/or provide OHV route maps to the public. Please check with the local city, county, or land management office for specific rules regulating the use of OHVs in that area. Riders should also consider that many OHVs will perform differently on paved or improved surfaces. Extra care should be taken when operating OHVs on public roads. Ride safely and be courteous when encountering vehicle traffic, bicyclists, and other road users. 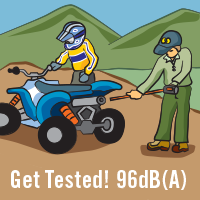 Remember that OHVs can be louder than most on-road vehicles. Colorado Law limits sound emissions of all new OHVs to 96 decibels. Please be mindful of area residents and businesses. Riding on-road is a privilege; please respect the communities that have chosen to allow OHVs by riding responsibly. When in Town, Throttle Down! Chaffee County Road and Bridge: Salida Office 719-539-4591, Buena Vista Shop 521 Gregg Drive, Buena Vista, CO 81211 Designated Roads Only, must be registered w/ CPW, must have DL and be at least 16 yrs. Old., Muffler, Spark Arrester, and Lights at Night Required. All county roads including towns of Silver Cliff and West Cliffe. Rules for county apply. All city streets. City permit required, driver’s license required, other rules apply. Creede, City of Only certain roads, license AND insurance required, 15 MPH OHV speed limit. 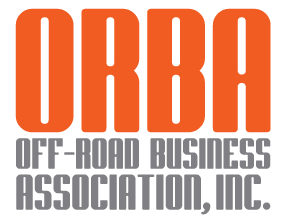 OHV route direct to/from Hardscrabble trailhead-OHV reg/permit req'd., 48" veh. width max. City streets open to OHVs, NOT adjacent county roads. Garfield County Designated Roads only, license AND liability insurance required, 35 MPH limit OR posted speed limit (whichever is less) , eye protection required, helmets under 18 yrs old, front and rear lights. Grandby, Town of Ordinance #852, certain city streets only, CPW-Title 33 rules apply. Grand County Certain specified county roads, rules pending OHV Hearings in 2017. 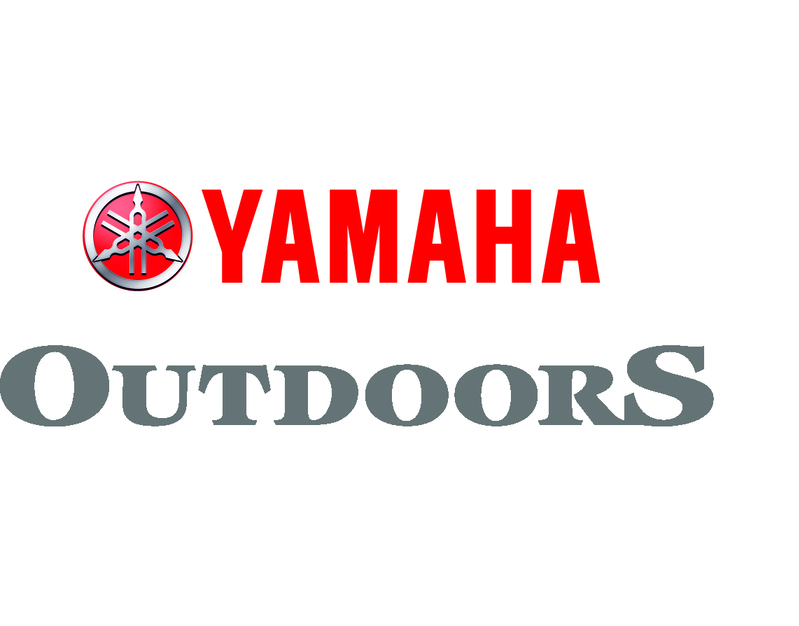 Grand Lake Designated OHV routes. Sections of designated county roads only. Gypsum, Town of Limited OHV use on routes direct to/from trailhead. 1. Vehicle operaters must have Valid Driver's license. 2. Proof of minimum liability insurance for each vehicle. 3. Helmet is required for riders under 18 years of age (a bicycle helmet will NOT suffice). 5. Must follow posted speed limit (all town streets are 15mph, HWY 149 varies) and any other traffic laws. 6. Stay on designated roads. 7. Highly recommended - rear view mirror. Designated county road sections only, contact county offices. Specific OHV route providing direct access to Wolford Mtn. All county roads, (Leadville also allows), license required, lights or daylight hrs. only. Certain routes pending OHV map/signage, same rules as Lake County. 10.5.102 - In accordance with Section 33-14.5-108(1), C.R.S., all Town roads, roadways or alleys, except any road or roadway that is part of the state highway system within the Town, are hereby designated as off-highway vehicle routes. All county roads in unincorporated Mesa County, driver’s license, and minimum liability insurance, maximum speed the lesser of: posted limit or 35 mph, Title 33 equipment rules apply. All county roads unless otherwise posted. All county rds. w/in unincorporated areas of the county, license and liability insurance required, and all Title 33-14.5 equipment rules apply, OHV speed limit 50 mph or posted limit whichever is less. 1. All traffic laws must be obeyed. 2. Operators must be at least 16 years of age AND possess a current, valid driver’s license. 3. Operators shall have motor vehicle liability insurance as required by law. 4. OHV/ATVs shall not exceed 35 miles per hour or the posted speed limit, whichever is less. 5. 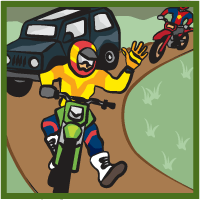 All OHV/ATVs shall be registered with the Colorado Division of Parks and Outdoor Recreation. Designated county roads only, routes on Alpine Loop, must have CPW reg/permit, driver’s license, and CO state minimum liability insurance, NO Ouray City Streets or state Hwy 550. All city streets, awaiting restrictions, please contact. Valid driver’s license (no child operators), CPW OHV permit/reg, spark arrester, legal Dba muffler required, 15 mph OHV limit on all streets, no through traffic on side streets or alleys. Ordinance #685 – Use of Registered Recreational Off-Highway Vehicles, SPECIFIC OHV Rules including process for certifying minors to operate OHVs through Rangely PD, Title 33-14.5 rules apply as well as other town rules. All County Roads EXCEPT County Roads 1 (Blue Mountain Road), 5 (Piceance Creek Road) and 7 (Strawberry Creek Road), including a right-of-way along State Highway 13, from School Street to CR #8, connecting Town of Meeker OHV route to Wagon Wheel OHV Trail System on USFS lands. San Juan County has designated various routes in the county and on the Alpine Loop for ATV and unlicensed motorcycle use. Riders must be 16 years of age and have a valid driver's license. All ATV's and unlicensed motorcycles must carry liability insurance and be able to provide proof of that insurance. A map of the designated routes for these vehicles can be obtained at the parking/unloading areas or from the San Juan County Sheriff's Office. Designated county roads only, routes on Alpine Loop, K68 Imogene Pass Rd. and K69 Black Bear Pass Rd. must have CPW reg/permit, driver’s license, and liability insurance. Designated OHV route only including access to the business district and the Alpine Loop, specific OHV route is marked with yellow signage and arrows. Model traffic code as well as other rules apply. See link below. Town and CPW OHV Permits required, must pass inspection and test and pay fee to receive town OHV permit & flag. Designated routes only, maps provided at Visitor Center. It shall be legal for licensed drivers at least eighteen (18) years of age to operate an OHV (off-highway vehicle) on the public streets within the city, providing that said vehicle is registered with the city. Register at the police department. Owners must provide the following: Bill of sale, title of vehicle or proof of ownership and Proof of current insurance. Teller County Designated county roads only. Awaiting changes/ restrictions pending Teller county approval. Contact town manager. Westcliffe and Silver Cliff, Towns of Silver Cliff Town Hall: 612 Main Street/P.O. Box 154, Silver Cliff, CO 81252, 719-783-2615, silverclifftown@centurytel.net, Hours: Monday - Thursday 7 a.m.- 5 p.m. Contact Custer County S.O. for rules regarding OHV use in these unincorporated towns. Note: This list shows cities/counties that have opened roads to OHVs for transportation/recreation. OHVs used for agricultural purposes are still allowed on public roads and may have access to routes in jurisdictions other than those listed here.